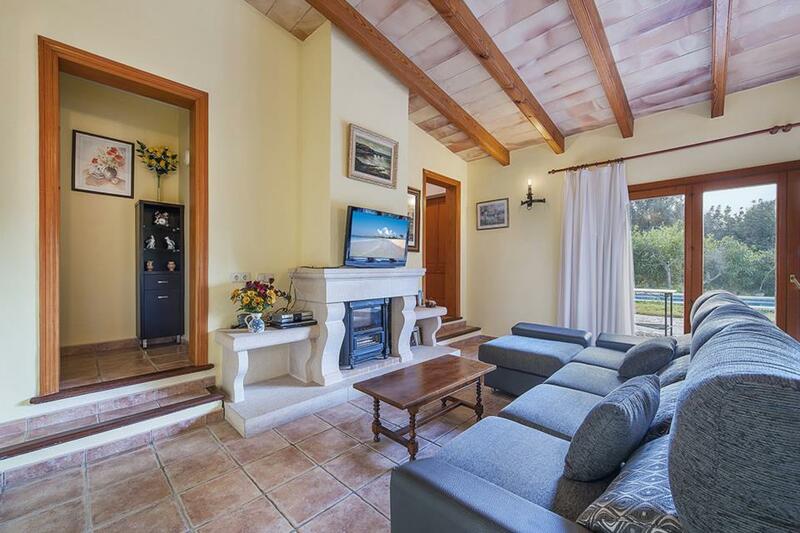 Located within a short stroll of the historical old town of Pollensa, Can Bach is a most charming and comfortable villa. 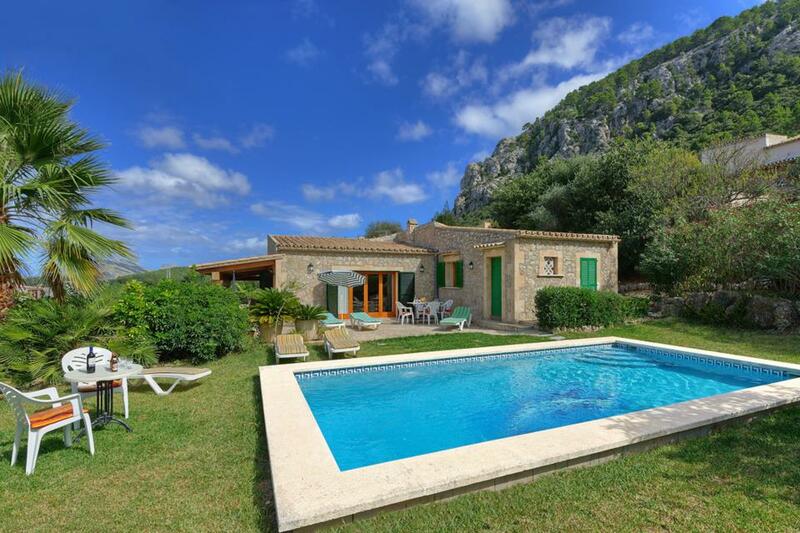 Located within a short stroll of the historical old town of Pollensa with its pretty cobbled streets, iconic churches and ancient stone built townhouses, Villa Can Bach is a most charming and comfortable villa which is inevitably going to appeal to those seeking a charming and private retreat within easy walking distance of shops, restaurants and café bars. Villa C’an Bach boasts many other notable attributes such as delightful views, an attractive stone clad façade and a wonderfully mature and private garden where the family friendly swimming pool with easy access roman steps can be found. 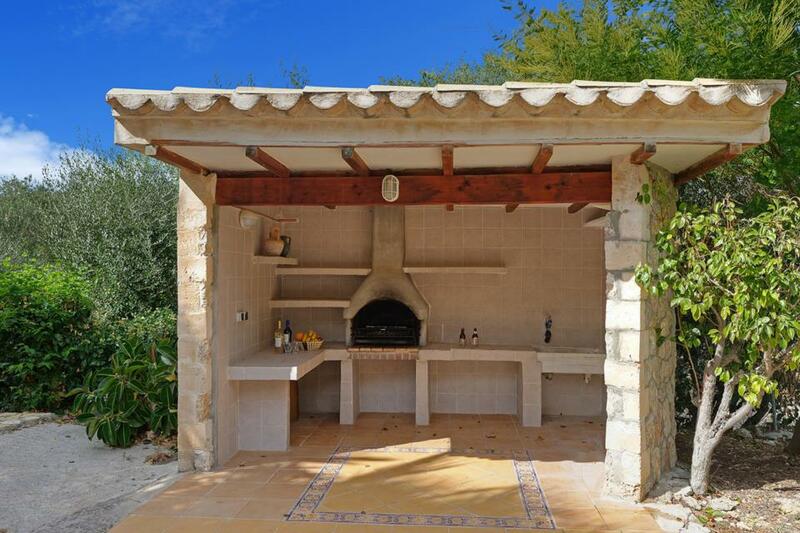 This really is a brilliant villa for young families, with all the accommodation spread out over one level, creating a bright and spacious feel, and with the stone clad exterior it remains pleasingly and refreshingly cool during the hotter summer months. Should your roaming instincts get the better of you, then the popular seaside resorts of Puerto Pollensa and Puerto Alcudia are both within easy reach. **Bedrooms are accessed by 3 steps leading from the lounge/diner. 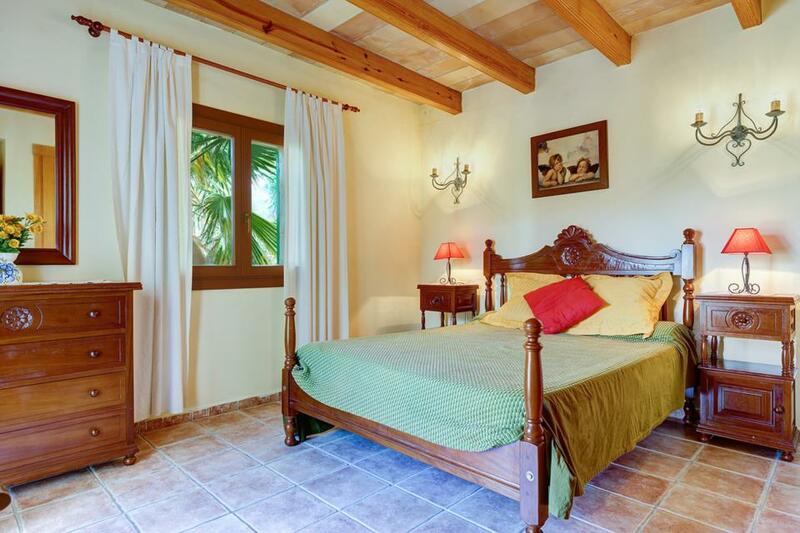 Bedroom 3 Twin Beds, En suite Shower room, Air Conditioning Cold Heat, door to pool area. The villa was great...There was a little bit of noise from the main road. But easy access in to Pollensa town only 10 minute walk. The pool was great and garden got sun all day. An excellent recommendation was going to finker 49 behind Lidl as we had to vacate our villa early and had a later flight. I would definitely consider going to this villa again. 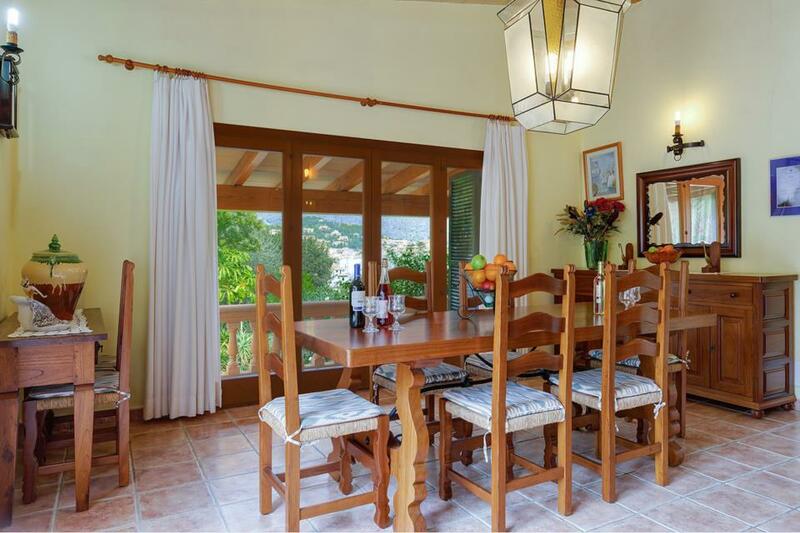 Fantastic location, easy walk to Pollenca with great restaurants and atmosphere. Overall a very relaxing place to stay. 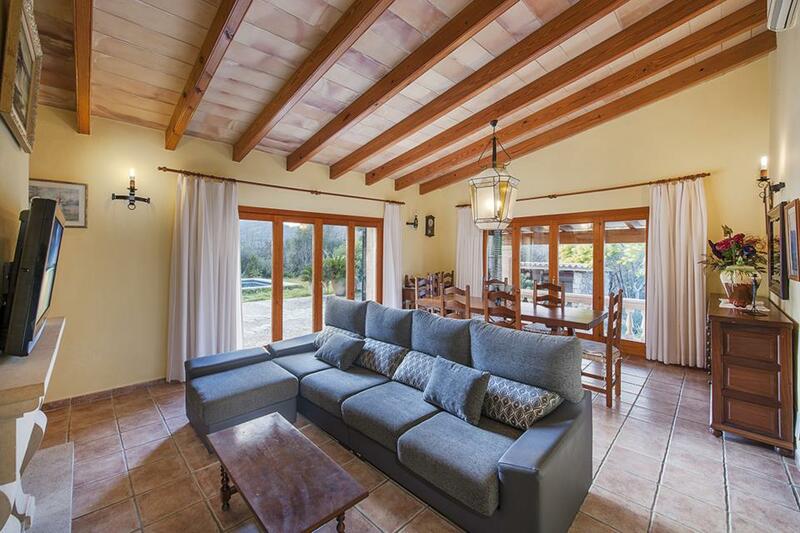 Lovely traditional style villa in good location within walking distance of lovely old Pollensa town with its fabulous market and restaurants. Nice pool area but would benefit from a gate and fenced off area to make it child safe . Overall a lovely holiday and would definitely return as location is beautiful . Well laid out for family use, good pool (though no shower) and best barbecue I have encountered. the position of the swimming pool and sun area was excellent as it had the sun all day. Very good shaded area meant we could cool off! It was a short stroll into Pollensa so excellent location although we had to cross the main Palma road which was very busy. 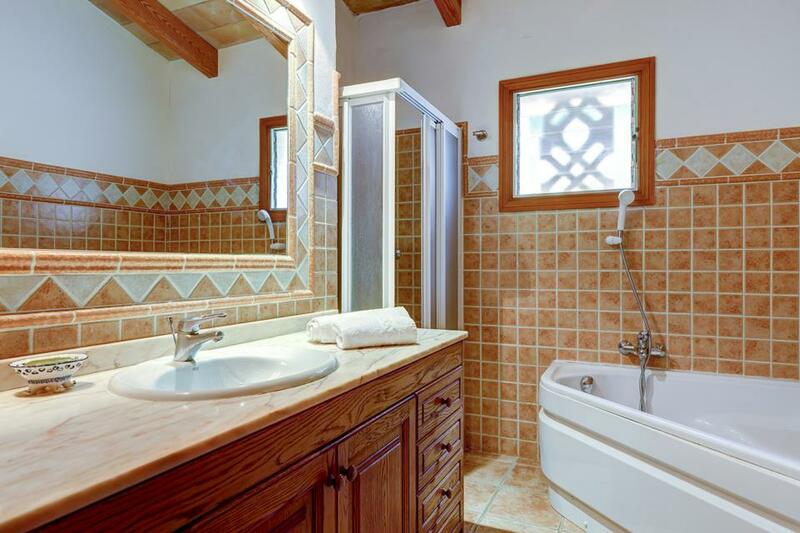 Villa was spacious and offered privacy. It is close to the old town so a very easy walk (50m beside busy truck road so need to be mindful of this with kids) and easy reach of Puig Maria which makes a nice walk. Villa facilities good, plenty of parking if required. 2nd booking for this villa. 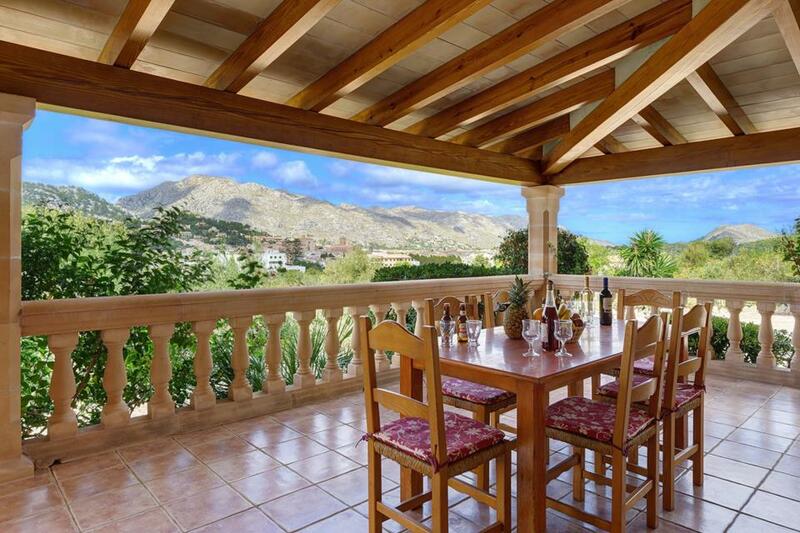 Great view of Pollenca and only 7 min walk from town, so ideal for dining out, shopping, popping to the play park etc. Villa layout also good with master bedroom and main bathroom to one side of lounge and other 2 'kids' bedrooms with ensuites to the other. Lounge has 2 enormous sets of patio doors opening out onto the terrace and pool side areas. Pool has good depth range for school age kids with Roman steps in and mid-point @ 1.45m. Kitchen is large, if a little dark, and adjoins the main patio area. Plenty of space for a family of 4-5, but I'd probably look for something bigger for 2 couples/families. 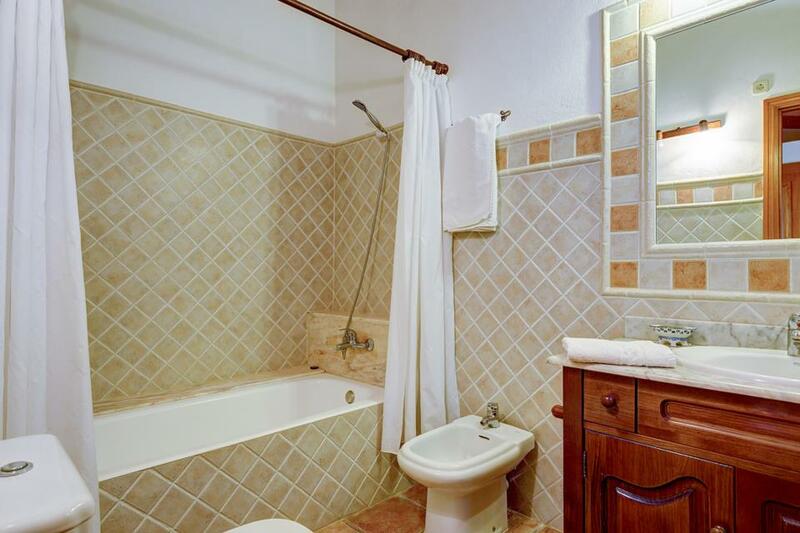 Not the most tastefully decorated villa I've stayed in and could benefit from a freshen up, but it has everything you need. Only real negatives I can think of: hundreds of German sat TV channels yet only 2 English (news) channels, load of kitchen knives but none of them can even cut bread properly and the quantity and quality of glassware is pretty lousy. Would I book again? Yes - very happily. 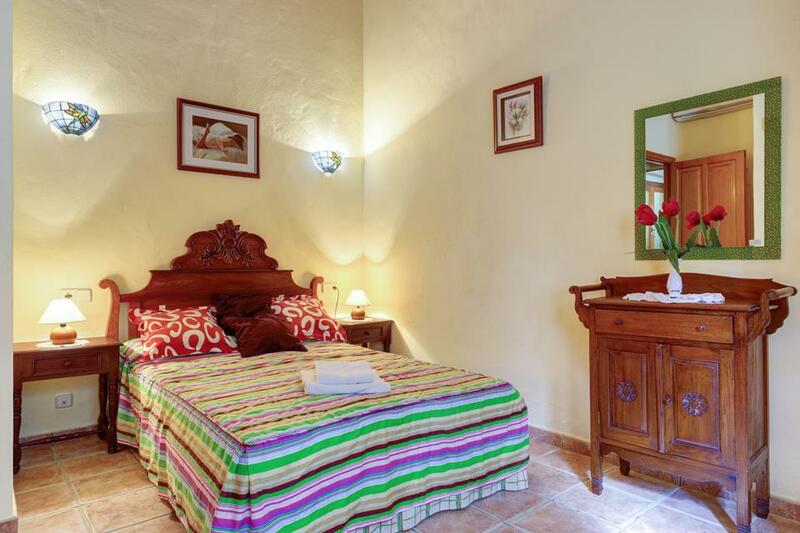 The location of the villa is great: a short walk into the centre of Pollenca. Standing a little higher up from the main road, there were also some great views over Pollenca and the mountains. The villa itself is spacious and clean but a little dated. The pool and grounds are lovely with a shaded veranda. 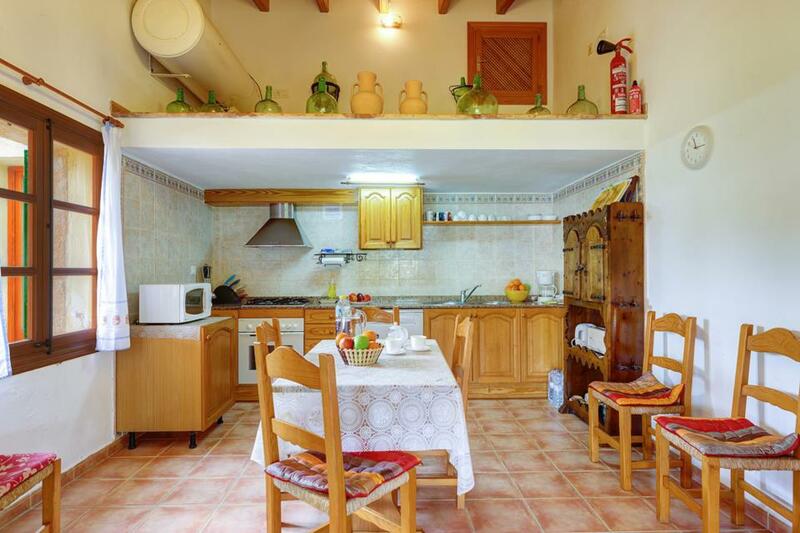 Lovely villa in good location, quiet area yet easy walk into Pollenca old town for meals etc. Spent more tome in outside seating areas and swimming pool than in villa. Villa was clean and well equipped. 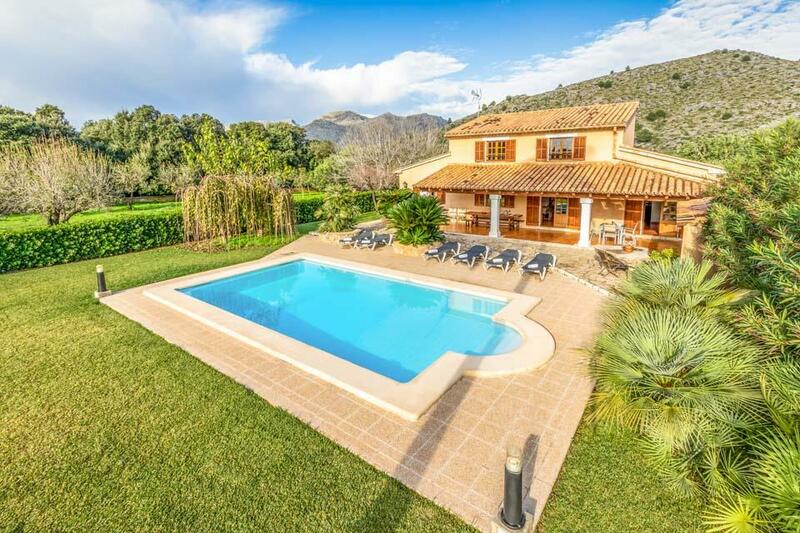 Set on an extensive plot with pretty rural views in all directions, guests staying at Can Cama Rotja often feel that they have found their own corner of Mallorcan countryside to enjoy. Despite being such a quiet and private haven, there are a number..